Surveyor Jamie Morrison holds an IIMS (International Institute of Marine Surveying, UK) Diploma in Marine Surveying, specialising in yachts and small craft. 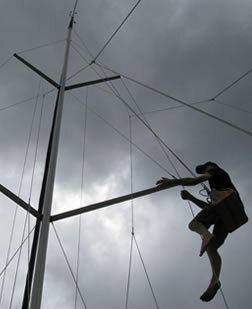 He is a full member of the IIMS and a qualified Yachtmaster. Jamie started yacht racing internationally in 1983, and has worked in the marine industry ever since. 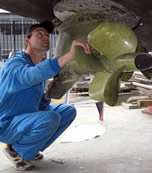 As a young but dedicated racer, he was employed to repair, maintain and optimise all aspects of the offshore yacht, introducing him to a wide spectrum of systems, materials and boatbuilding methods. 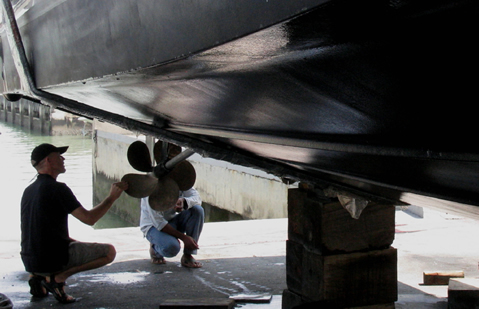 Jamie’s technical bent and his passion for boating naturally led him to a career as a shipwright. To begin with he operated on Sydney's Middle Harbour, but subsequently worked in boatyards around the world. Travelling by water presented many opportunities: in addition to his traditional shipwright work, Jamie was employed as a boatbuilder, rigger, marine electrician, diesel fitter, and maritime museum restorer. Together with numerous deliveries and commercial charter work under power and sail, this background gave Jamie a broad technical knowledge invaluable for marine surveying. In 1990 Jamie was asked to survey and value a custom-built Benford cutter as an expert witness for a Brisbane court. 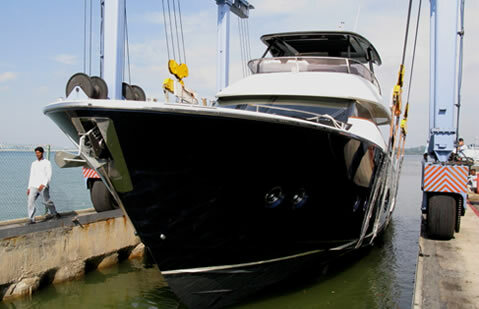 Since then he has inspected hundreds of yachts for owners, buyers, insurers, government bodies and financial institutions. 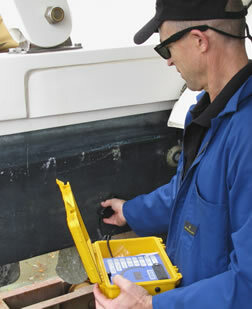 JM Marine Survey was registered in 2012.